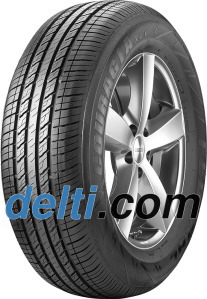 A new SUV All-season Touring tire that delivers excellent stability and comfort with the state-of-the-art technology. The four vertical tread grooves are designed to efficiently expel water. To resist hydroplaning by dispersing water through the circumferential grooves for better grip while increasing contact area on the road surface. 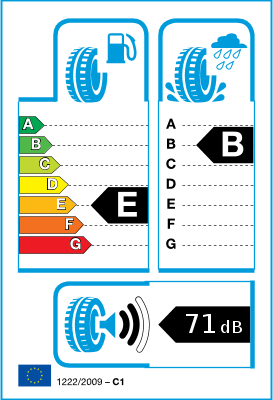 A total of 148 varied combinations of sipes which are optimally placed on the tread with the aim for achieving smaller blocks – with the result in minimum noise when the tire is contacting on road. Provides straight-line performance and stability at high speed. Stiff interconnected among bigger shoulder blocks promotes quietness, comfort and driving stability by locking shoulder blocks together for balanced rigidity while also prevents the tire from uneven wear. The opposite slanted angle design on the tread adds longevity and prevents uneven wear.